After enrolment the new ranger will need both a farm and a parade uniform. Please use the uniform order form below. We always have caps, ties and badges in stock. Tee-shirts, sweatshirts and wax jackets usually need to be ordered so there may be a delay before you receive your items. 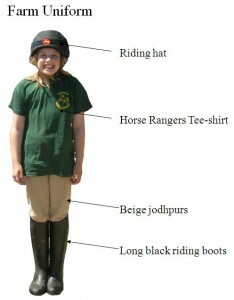 The farm uniform consists of long black rubber riding boots (privately purchased – not chaps or short boots), beige jodhpurs (privately purchased), a ranger t-shirt, jumper and wax jacket (all purchased from rangers) and a new black riding hat that conforms to PAS 015 (privately purchased from a saddler/tack shop only please, hats from outlets such as Tesco are not suitable as they make our insurance void and are not safe enough to protect your child adequately.) Please do not buy second hand hats. 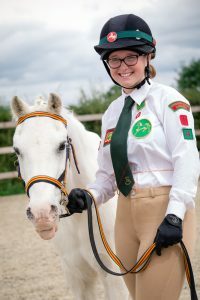 Body protectors (privately purchased) are an additional piece of safety equipment which may be worn, please ensure they are correctly fitted by a specialised tack or riding shop – a list of these is on this website. Riding gloves are also very useful, a cotton pair for the summer and a warmer pair for the winter – but do name them please! We generally have a selection of second hand riding boots at Rangers (£5 per pair) and some second-hand sweatshirts and jodphurs. Just ask any Officer. 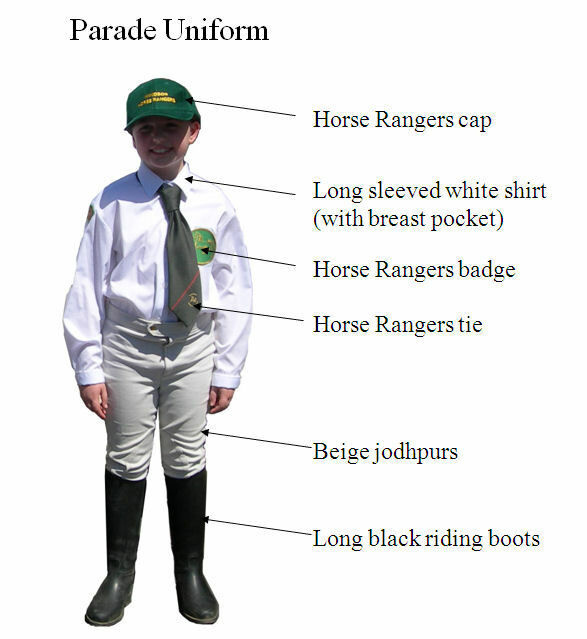 Our parade unifo rm should be worn on the first Saturday/Sunday of each month and is also used on out-parades and events. 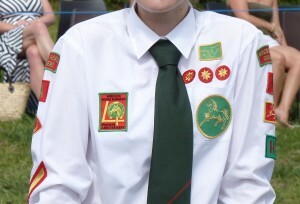 The difference between farm and the parade uniform is a white long sleeved school shirt (privately purchased) with the company badge and other insignia, a ranger cap and tie which can also be purchased from rangers. Badges – where do I put them?! What about the Helpers badge?